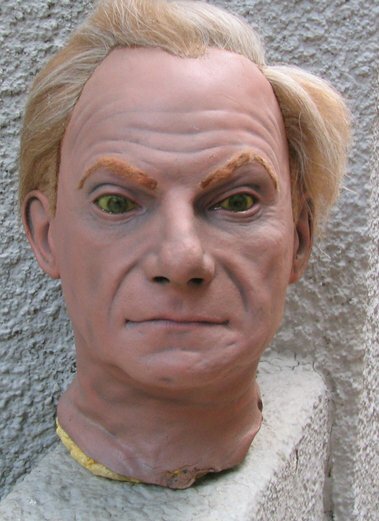 Hi Robert, give me your opinion on this Lost in Space TV series Dr. Smith mask? This guy I know is claiming it to be a screen used mask, posssibly used by stand in's on the show? I have no iddea? It looks somewhat different than the ones on the show? Do you think it is a fake, or some limited edition some company made years ago? Let me know what you think? PS: It was foam filled years later to keep the shape of the mask. 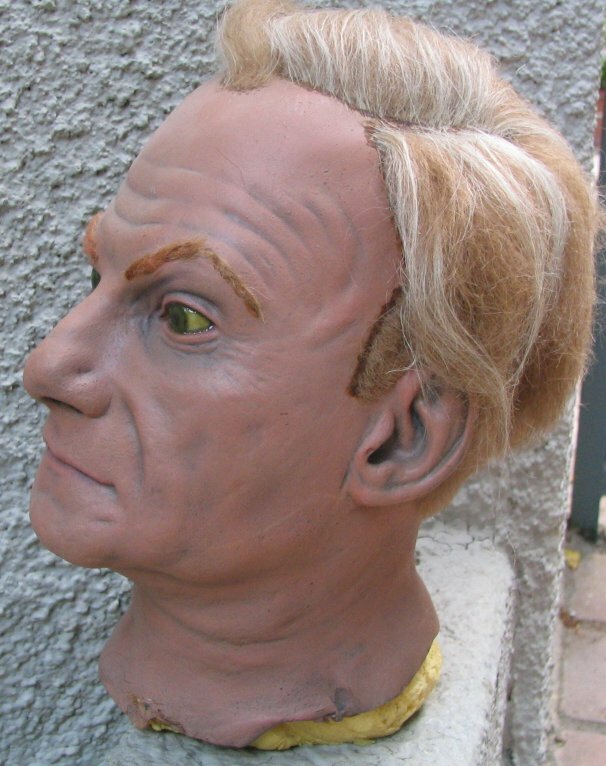 In my opinion without looking or touching this mask up close, this in NOT an original mask used on Lost in Space classic episode, "Space Destructors". This is a very nice detail fan-made mask. Only one lic. 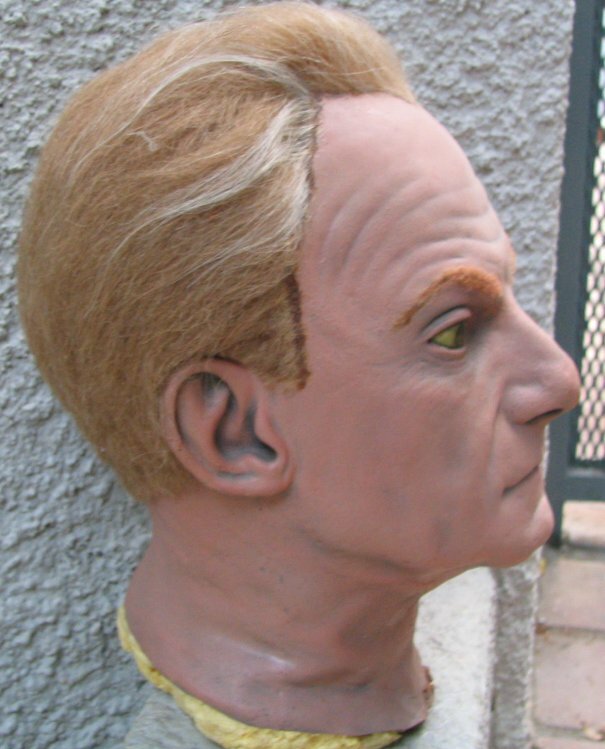 Company mask was ever produced (Paper Magic) honoring Jonathan Harris famous role. There has been several fan-made mask available in limited editions, which are also featured on our website. When buying any props 'buyer or seller beware'. Be careful on what you are buying and ask any and all questions before shelling out alot of money on the item. Look for age, wear, smell, and paper history on the item. If a seller claims it's real, ask to see his track record, and how many years has he/she been selling/buying props? An excellent record, and word of mouth from other people will speak for itself when purchasing any items, specially on eBay!